Could you make a war game about recently deceased U.S general Norman Schwarzkopf without being stormed by legal problems? What about a space exploration game that includes a character inspired by Neil deGrasse Tyson or George Takei as a mentor to the protagonist? What if you want to make a game that includes appearances of luminaries such as Stephen Hawking or Elon Musk? Will you be safe if you parody them or avoid using their names? To know how to answer these questions, you must understand the Right of Publicity. The Right of Publicity is one’s economic right to commercialize their likeness. Essentially, you cannot use someone’s name, photograph, voice, or persona to sell your product without their permission. What makes the Right of Publicity such a difficult issue is that it is not a single, unified federal law­—it is instead purely a creature of state law. That means there are about fifty separate Right of Publicity legal frameworks in the United States. And even if some state’s statutes are similar, judges often interpret them entirely differently. This makes what appears on its face to be a simple concept into a byzantine labyrinth of state statutes, judge-made common law, exceptions, and exceptions to those exceptions that only a trained attorney can untangle. I’ve witnessed people make seemingly innocent choices that turned into costly mistakes after not consulting with an attorney. For example, I’ve written cease and desist letters on behalf of the estates of musicians Janis Joplin and the “King of Soul” Otis Redding because people using their names and images did not realize that in some states the Right of Publicity lasts into perpetuity - surviving even decades after the owner’s death. There have been more high-profile lawsuits regarding the Right of Publicity than any other legal issue in video gaming over the past several years. To get a better understanding of the issues that spawn legal actions, it is best to look at an overview of lawsuits in video games and related media to see where other people have gone wrong and to learn from their mistakes. In 2004, a Missouri jury found that Todd McFarlane, creator of the Spawn comic book series, infringed upon the publicity rights of Anthony Twistelli, a hockey player for the St. Louis Blues. McFarlane had simply named a minor character in his comic book “Tony Twist” and admitted in a magazine article that it was named after Twistelli. For that unauthorized exploitation of Twistelli’s Right of Publicity, a jury hit McFarlane with a $15 million verdict. The verdict was upheld on appeal. Keirin Kirby, known as Lady Miss Kier and for her hit song “Groove is in the Heart”, sued Sega for its Japanese videogame Space Channel 5, which had a character that looked and dressed similar to Kirby and even used her same catch phrase, “ooh la la”. The California court ruled that there were enough differences between the two that Sega's character was considered “creative” and “transformative” and gave the victory to Sega. In a case that teaches the danger of using a sound or voice that imitates a famous musician too closely, The Romantics sued Activision for using their hit song “What I like About You” in Guitar Hero. Interestingly, Activision had a license to use the song, so copyright was not the problem. Instead, The Romantics argued that using their song to promote their game infringed their Right of Publicity because the recording sounded too much like it was actually performed by their band, thereby associating The Romantics with Guitar Hero. Even though the Romantics were successful against other Defendants in similar lawsuits, Activision defeated their claims because of Michigan's particular Right of Publicity rules and the fact that Activision had not used The Romantics' name in any advertisements. A DC Comics miniseries parodying the genre of Wild West cowboys included two characters based on the Winter brothers, known for being rock and blues musicians. Unlike the real Winter brothers, the DC Comics characters were villainous half-worm half-human creatures. The California Supreme Court ruled in favor of DC Comics since the Winter brothers were merely the inspiration and the “raw materials” for the characters in the comics. After three years of litigation, No Doubt settled on favorable terms with Activision after a California appellate court upheld a ruling that its Right of Publicity was violated and that Activision exceeded the scope of its permission to use No Doubt’s likeness in its Band Hero video games. Lead singer Gwen Stefani and the rest of No Doubt licensed their music to Activision and posed for cameras so Activision could create detailed computer-generated avatars of them for use in Band Hero. No Doubt argued that Activision exceeded the scope of its permission to use No Doubt’s Right of Publicity by allowing players to use the band’s in-game avatars to perform songs that were not connected with No Doubt. Gwen Stefani was reportedly upset that her avatar could be used to sing songs that she did not want to be associated with. In a series of simultaneous cases by former college athletes against Electronic Arts, Ryan Hart and others sued EA in California for infringing their right of publicity in the NCAA Football franchise. While the video game did not use Hart’s name, it did use a digital avatar that recreated him, played quarterback at Rutgers, and had his exact physical, biographical, and career statistics. Ryan Hart and his in-game avatar, for example, were both 6’2”, 197 lb, wore the number 13, and an armband on the left wrist. Further, Hart’s throwing distance, running speed, home state, home town, class year, and team were all identical to EA’s avatar of him. EA argued that it was protected by the First Amendment and that it never used Ryan Hart or any other players’ name. Hart and the former college athletes won. The courts ruled that EA had not transformed their likenesses enough. “An artist depicting a celebrity must contribute something more than a merely trivial variation, but create something recognizably his own, in order to qualify for legal protection.” While the court’s test, known as “transformative use”, does give some guidance, whether or not a particular reference to a celebrity in a game contains enough “variation” for legal protection is ultimately a subjective judgment call. Though it has not risen to the level of legal action, in a Reddit AMA actor Ellen Page accused the makers of The Last of Us of using her as a basis for the game’s main character Ellie. If the game developer had been unwise enough to publicly admit in an interview that the character was in any part based off of her, then it could have been a multi-million dollar mistake reminiscent of McFarlane’s “Twistelli” comment. Lindsay Lohan is currently suing Rockstar Games and its publisher Take-Two, for Grand Theft Auto V’s character, Lacy Jonas, who is allegedly based off of Lohan. Many bloggers argue that she looks more like Kate Upton and that Lohan’s lawsuit must be frivolous. The analysis, however, concerns more than mere physical appearance. 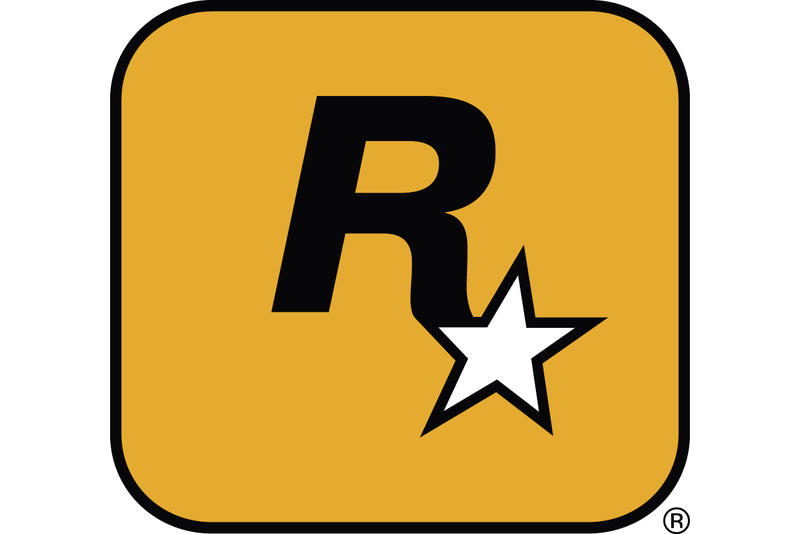 Among other things, Lohan’s complaint alleges that Take-Two described the Lacey Jonas encounter as a “Lindsay Lohan look-a-like side mission”. If true, the accusation evokes Todd McFarlane's $15 million Twistelli comment. The litigation is in its still in the initial stages, and I’ll be following it closely. General Manuel Noriega, currently serving a twenty year sentence in a Panamanian prison, recently sued Activision for using his likeness in Call of Duty: Black Ops 2. Thanks to a 2011 Supreme Court decision, videogames qualify for the same First Amendment protection that books or movies do. Political speech, especially about a head of state, traditionally receives stronger First Amendment protection than any other kind of speech. On October 29, 2014, the court dismissed Noriega’s suit saying that Activision’s First Amendment right to free expression outweighed a third world mass murdering war criminal's rights of publicity in the United States. The most fundamental error any developer can make is to try to tackle a Right of Publicity issue without consulting a video game attorney with publicity experience. While the concepts underlying the Right of Publicity are seemingly simple, you must know how to parse through state law, choice of law, and common law judicial opinions laying out the various tests to use. The top reasons you should consult a professional for guidance include: (1) You want to reference any person, alive or dead, in your game, (2) your name or likeness has been used in a game without compensation to you, or (3) someone has accused you of using their name or likeness in your game without permission. Developers often do not understand that the Right of Publicity is not unified in the United States and it varies widely from state to state. In some states, the right of publicity only applies to explicit corporate advertising. In others, it applies to any expression with a commercial purpose, even where the celebrity’s likeness has been heavily altered and is a small portion of the expression. But one of the most salient differences is how each state handles dead celebrities. In Tennessee, for example, the Right of publicity can be perpetual, even after death (consider a certain iconic dead celebrity attraction in Memphis). In New York, however, the right does not survive death at all. The state law that applies is usually decided by where the dead celebrity resided when she died (but there are, of course, exceptions). So, to determine whether or not a dead celebrity’s rights are infringed in your game, you’ll need to find out where they were domiciled at the time of their death, determine whether their rights have entered the public domain or belong to the family’s estate, and analyze whether your particular use meets the “transformative use” criteria, and be cognizant of any number of exceptions that may apply. Right of Publicity is constrained by the First Amendment. But where your First Amendment rights end and someone else’s Right of Publicity begins is a line that, once again, varies from state to state. A parody is a form of social and literary criticism that humorously comments on a person in order to expose their flaws. Generally speaking though, parody is a limited, difficult defense to prove and not the panacea that non-lawyers often assume it is. Never assume you can use a celebrity’s likeness in your game just because you have a humorous slant to it and plan to rely on a parody defense. Any time you find yourself falling into the trap of thinking your use must surely be a parody, remind yourself of “The Cat NOT in the Hat! A Parody by Dr. Juice”. Even though it was a humorous book about Dr. Seuss and O.J. Simpson that explicitly called itself a parody in the title, it was still trademark infringement and not a legal parody according to a federal appellate court. While being a “public figure” may make it difficult to libel or defame someone, their status as public figure actually helps their right of publicity lawsuit against you. Imagine that your company plans to publicly congratulate Team SoloMid for winning the League Championship Series. Proceed with caution. Consider a Chicago grocery store’s salute to Michael Jordan’s legendary achievements. It ran a full-page advertisement congratulating Michael Jordan for his 2009 induction into the Hall of Fame. Even though the advertisement was commemorating Michael Jordan’s achievement (by showing a pair of basketball shoes bearing his iconic number 23), didn’t use Jordan’s name or photo, and didn’t try to sell any specific product, Jordan still won a right of publicity lawsuit against it since the store's logo was included in the ad and thereby associated their brand with his name. Now that you have seen examples and read about some of the common perils of the Right of Publicity, what do you think about the questions posed at the beginning of this article? Would you be comfortable making a war game that includes recently deceased U.S general Norman Schwarzkopf? What about paying homage to George Takei or Elon Musk, even as minor characters in your game? This article is for general information purposes and is not intended to be and should not be taken as legal advice.